On Sunday, August 11th, open, compulsory and simultaneous primary elections were held for the second time across the whole of Argentina since their enactment in 2009. However, they were still far from being primaries stricto sensu. They were probably more like simple primaries. 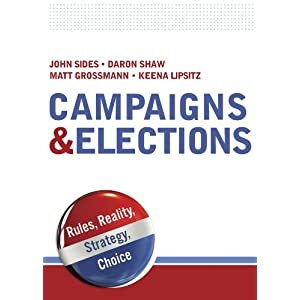 As we already said in our previous Monkey Cage election report, the actual system of primaries can mostly be defined as a virtual first round of an unofficial two-round legislative election. Our primaries function more like a de facto national poll that sets the stage for the general election. Still, these primaries defined the nominations for the general elections that will be held on October 27th. More importantly, they provided us with real data on which candidates, alliances or parties, if any, have enough popular support so as to start building a political career oriented towards taking the presidency in 2015. The big name in this regard emerged from within the Partido Justicialista (PJ) in the biggest and more relevant district in the country: the province of Buenos Aires. Sergio Massa, the Major of the municipality of Tigre—and once National Chief of Cabinet during Cristina Kirchner’s former administration—had taken office as a candidate of the Frente para la Victoria (FpV), but in June 2013 he created his own Peronist electoral label (Frente Renovador). 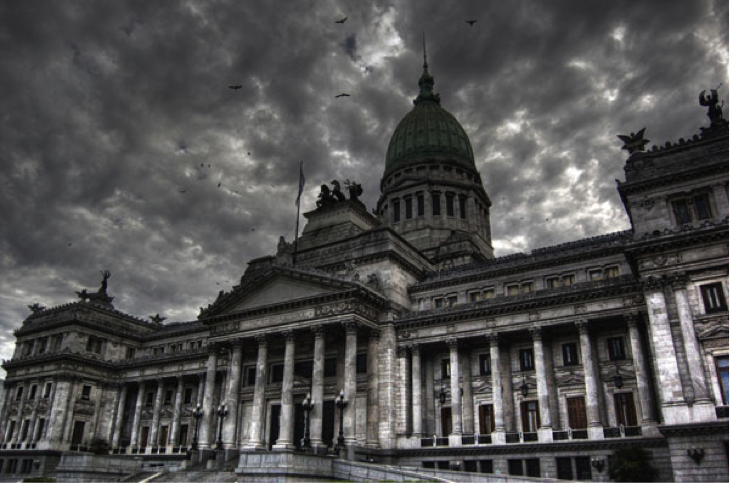 Although under the logic of Argentinean politics no national legislator could ever become president, Massa jumped from the municipal level to the national legislative level as a way of projecting himself towards 2015 and in order to test his popular support. Massa appeared as the “moderate” alternative (he tried not to be identified either for or against the national government) aimed at becoming the alternative to the ruling party (FpV). The fact that the new main alternative to the national government emerged from within the provincial Peronist Party is not an unexpected outcome in a moment in which the remaining parties and alliances in the opposition cannot offer novel candidates, deliver leading proposals, or even command the campaign towards October. This resulted in a campaign mostly concentrated in Buenos Aires and starring y peronist or philo-peronist candidates. I think the ‘Snowden affair’ has provided a useful pretext for canceling a really useless summit. The Obama administration has taken the worst possible course in the awkward situation, making it impossible for Russia to extradite Edward Snowden or even to send him to a “safe haven”, and implicitly adding credibility to his revelations. What is, however, a far greater blunder is the belief that Putin might be convinced to proceed with deep reduction of strategic and nuclear arsenals, so that the policy of “reset” would produce historic legacy of Obama’s presidency. It makes sense to follow up with some evidence that an international human rights institution did successfully influence non-traditional rights, albeit in a limited way. The case that I will discuss is the impact European Court of Human Rights (ECtHR) rulings have had on LGBT rights in Europe. It is based on a paper (forthcoming in International Organization) that I wrote with Duke law professor Larry Helfer. With Europe we mean all 47 Council of Europe member states, which includes Russia, Turkey, Albania, Azerbaijan, Georgia, Serbia and many other countries where public acceptance of homosexuality is among the lowest in the world. The document that the ECtHR is supposed to interpret, the European Convention on Human Rights, makes no mention of homosexuality or sexual orientation. Thus, states have not explicitly delegated the Court the authority to uphold LGBT rights. Yet, we find that ECtHR rulings that find a certain practice, such as criminalizing homosexuality, a violation of the Convention have a substantial effect on policy change. 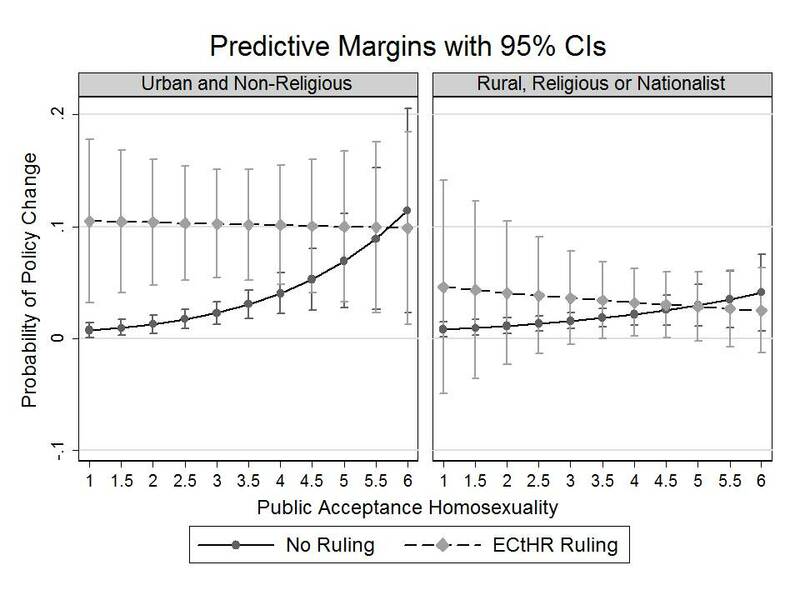 However, this effect is only manifest in countries where public support for homosexuality is low and where a government is in power that does not draw its primary support from rural, religious, or nationalist bases (see graph below). In countries with high levels of public acceptance and an urban and non-religious government, policy change happens without international legal action. Rural, religious, and nationalist governments tend to resist liberalization regardless. Yet low public support but a government that is not necessarily ideologically opposed to liberalization creates an opportunity for an international intervention to make a difference. We estimate that a substantial number of countries, especially in Eastern and Southern Europe, have more liberal LGBT rights laws than we would have expected in the absence of international court action. Let me back up a bit and explain how we got there and what all of this means in the context of the current backlash against LGBT rights in some of these countries, most notably Russia. The following is a guest post from political scientists Graeme Robertson of the University of North Carolina at Chapel Hill and Samuel Greene of King’s College London. On Thursday July 18, as anyone with more than a passing interest in Russia or the Monkey Cage already knows, Russian anti-corruption campaigner and Moscow Mayoral candidate, Alexei Navalny, was sentenced to 5 years imprisonment on charges of embezzling about $500 000 from a forestry firm for which he had never worked. The trial had been a long time in the works and the sentence was not surprising. Yet somehow, even if it was not surprising, it was still jarring – to us at least. That travesties of justice and political repression have become expected in Russia these days is no reason not to be horrified when they happen. So much for the morality of the case, what about the politics? Repression, after all, is not just personal, but also political, and is intended not just to deal with a particular target, but also “pour encourager les autres”. Moreover, Navalny is no ordinary defendant, but a candidate right in the middle of a race to become mayor of Russia’s capital city – perhaps the third most high profile position in Russia after president and prime minister. The prosecutors themselves requested that the court release Navalny pending his appeal, giving him some time – maybe a month, maybe two – to campaign ahead of the September 8 ballot. So how did the political message of Navalny’s trial go down with ‘les autres’? As it happens, not much differently than a Mitt Romney ad in the U.S.—more about that in a minute. There has been much debate about what the Navalny verdict and subsequent decision to release him pending appeal would mean for Russian politics. Fortunately, we have some data that allow informed (if clearly not definitive) analysis of these issues. The data come from two sources – daily telephone tracking polls looking at levels of support for the various candidates in the Moscow race (conducted by Synovate ComCon), and an Internet survey of educated, middle-class Muscovites that was in the field when the verdict was handed down (conducted by the authors with the generous financial support of the Smith Richardson Foundation). The first thing to note is just how politically tuned in educated, middle class Muscovites are. In the 48 hours after the verdict (when the field work was completed), some 87 percent of respondents in our Internet sample reported being aware of the case against Navalny, and 70 percent said they knew the verdict. Interestingly, the high levels of awareness of the Navalny case do not seem exceptional – fully 89 percent of respondents said that they had head of the trials of the Bolotnoe protesters. Of these, only 15 percent thought the sentences handed down in these cases appropriate, while 53 percent saw the Bolotnoe cases as “political show trials”. In other words, the public message of repression in today’s Russia is “received and understood”. So how is Russian repression like a Mitt Romney ad? Because the Navalny sentence produced more or less the same effect you get from launching a big television ad buy in a US presidential election – a short-lived bounce that dissipates in a week. 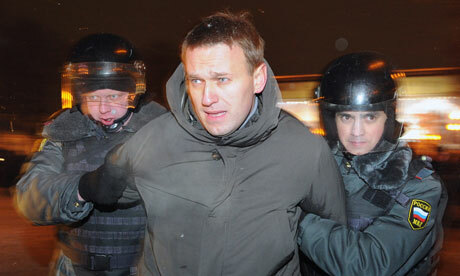 For Navalny, being repressed by the Putin regime was worth about a 10-point bounce in the polls. In the internet survey, of the 492 respondents who answered either before the sentences were announced, or who were unaware of the verdict, 12 percent said they intended to vote for Navalny in the mayoral election. Among those who answered after and knew the verdict (151 people), Navalny’s support was 23 percent. Without a panel design, we can’t know who moved, but in aggregate all of that bounce seems to have come at the expense the incumbent and Putin-favored candidate Sergei Sobyanin, whose support fell from 34 percent to 24 percent. Leveraging diverse data sources (geospatial measures of flooding, election returns, and an original survey of 13,282 Pakistani households), we show that flood exposure led Pakistanis to have more aggressive attitudes about civic engagement, increased both turnout and vote share for the party in power in 2010, and led to a rejection of militant groups and small particularistic parties. In this case a major natural disaster which created a transient economic shock also led to major changes in citizens’ attitudes and civic engagement. These results call into question the interpretation of a broad set of papers and tie into a rich literature in political science showing that disasters can have complicated political effects that are often quite divorced from their economic impacts. Earlier I blogged about the potential lasting electoral effects of responses to floods based on evidence from Germany. Here is Dan Hopkins on what we know how Katrina affected U.S. public opinion. Here is John Sides on hurricanes and Josh Tucker discussing research on shark attacks and floods. In all, the evidence quite strongly suggests that natural disasters have political effects beyond the economic shocks that they might cause. Public opinion polarization has decreased over the last three decades in Germany. In particular, highly educated and more politically interested people have become less polarized over time. However, polarization seems to have increased in attitudes regarding gender issues. These findings provide interesting contrasts to existing research on the American public. Public opinion polarization is conceptualized and measured as alignment of attitudes. Data from the German General Social Survey (1980 to 2010) comprise attitudes towards manifold issues, which are classified into several dimensions. This study estimates multilevel models that reveal general and issue- as well as dimension-specific levels and trends in attitude alignment for both the whole German population and sub-groups. Their method follows what Delia and I did using the NES to study the well-known phenomenon of increasing political polarization in the U.S. 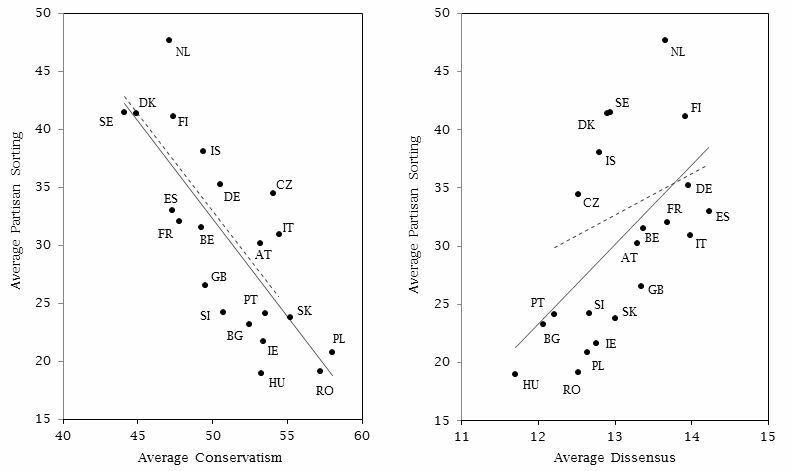 I don’t know much about polarization in different countries; the topic seems very much worth studying.